Santa Tours will begin the night of December 3rd. He will usually hit the streets around 5:30 pm. The touring schedule will be finalized by the end of November and attached below for your convenience to help determine when Santa may be visiting your neighborhood. Simply click this linkand then find your street. 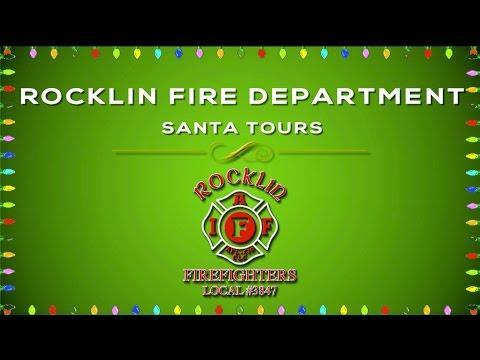 You can also follow Santa on the Rocklin Firefighters Facebook page. There you will be able to get nightly updates should Santa have an emergency at the North Pole.